As our age increases, our bodies undergo certain changes. Wrinkles and gray hairs are two of the common vivid physical signs that show we are aging. However, there are numerous factors that contribute to how we age faster. Air pollution. Our environment is the greatest factor that contributes to fast skin-aging. Air pollution has a profound effect on the skin. Over the years, air quality has been compromised due to pollution from vehicles and factories. Impurities found in the air find its way into the skin which in return trigger skin allergies and prompt skin aging. Chemical-based products. Remember, most of the skin and cosmetic products available in the market contain harmful synthetic chemicals. Regular and prolonged use of unhealthy products can contribute to the development of wrinkles, under eye circles, dry skin, and other skin problems. That is why it is important to carefully choose what products you should apply on your skin and to use it as less as possible. Ultraviolet rays. Too much sun exposure is another factor that affects skin aging. Prolonged exposure to UV rays can cause degenerative aging changes such as wrinkling, pigmentary changes, thinning, and carcinogenesis. Stress. This does not only affect the mental, emotional, and psychological state of an individual but also the physical well-being. People who are subject to a lot of stress age faster than those who are not. Believe it or not, stress affects how people look. You can tell someone if he/she is on a lot of pressure just by looking at him/her. Few of the most visible signs are eye bags and wrinkles. These are the effects of stress on the body’s cells. Sleep. Lack of sleep can affect the way you look. Depriving yourself from getting enough sleep can cause wrinkles, reduced skin elasticity, and dark pigmentation. So, start getting enough hours of sleep. 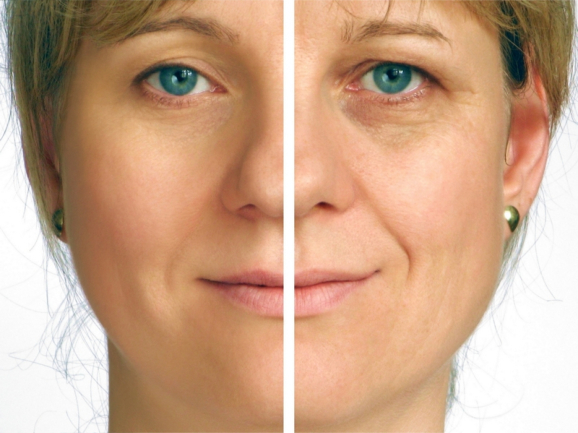 The good news is, through the advancements in science and technology, there are now ways you can dampen skin aging. You can look for Medical Clinic in Texas that specializes skin care. At Treat Now Family Clinic, we dedicate our knowledge and skills in providing skin care at our Family Clinic in Arlington, Texas. For inquiries, feel free to call us at 817-633-3400. Or email us at kate@treatnowfamilyclinic.com. Look younger and feel younger now! This entry was posted in Family Clinic and tagged Adult Medicine, Dermatology, Gynecology, Minor Surgery, Pediatrics, Skin Care. Bookmark the permalink.